Internet’s Own Boy – Aaron Swartz Story Inspires, Informs & Promotes Conversation. Even if you don’t know who Highland Park’s Aaron Swartz is – or rather was – you or your children know some of his visionary web inventions. They include the RSS feed and the online news site Reddit. Swartz was a genius. He was driven to use the web to make the world a better place for as many people as possible. And this is what led to his death. 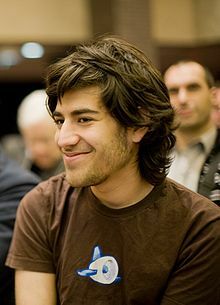 On January 11, 2013, at age 26, Swartz committed suicide in response to a wrongful federal felony prosecution based on his downloading documents through the MIT library system, which he was entitled to do. As Sir Timothy Berners-Lee, CoCreator of the World Wide Web, eulogized at Swartz’s funeral, the world lost one of its most promising minds. Everyone should see the powerful documentary about Schwartz’s life – “The Internet’s Own Boy: The Story of Aaron Swartz.” But it will particularly inform parents of gifted children looking for role models, anyone hoping to better understand the power and inherent possibilities of the digital world, and citizens confused by “keep the internet free” rhetoric. By the time he was 12, Schwartz had created the first web version of Wikipedia. As a teen, he worked alongside adults when he helped create the RSS feed and Reddit. Note: if you don’t yet know Reddit.com, you should. Every significant, savvy American luminary participates in it’s’ AMA –“Ask Me Anything” – opportunities, including President Barack Obama. Your kids are more likely to get their news from Reddit than from any of the sources you prefer. Schwartz was the oldest of three very bright boys, who all attended North Shore Country Day School. As the documentary carefully depicts, Schwartz’s parents lovingly nurtured him and his extraordinary gifts, allowing him to leave high school early to attend Stanford. Schwartz also left Stanford early because he had already made a bucket-load of money through the sale of Reddit. Thereafter, Harvard and MIT welcomed Schwartz into their programs too. Harvard Law Professor Larry Lessing credits Swartz with inspiring him to change his famously successful professional path, just as the teen affected so many others to do too. Despite MIT’s culture of pushing traditional boundaries and open web access, Swartz was charged with multiple felonies and hounded by US prosecutors for downloading documents through the school. His intent was never to profit from the activity; rather Swartz hoped to make a valuable point for the rest of the world. Even as Swartz fought the wrongful charges, he led the surprisingly successful movement to stop enactment of “SOPA” (Stop Online Piracy Act) and other laws that would limit access to the internet and valuable information. He continued to lead with his heart every day. But his battle with the criminal justice system overcame him. Everyone who grasps the transformational possibilities of the internet – like Berners Lee and Lessing – mourns Swartz’s death. The rest of us need to better understand the issues which led him to kill himself too. Parents who watch this documentary will have additional tools to connect with and help their own children too. I will soon be interviewing Swartz’s father, Robert. Of course I want to help a parent trying to carry on his child’s dream of making the world a better place! Do you have any questions that you would like me to ask him too? Please also submit your email here to receive our Better Letter, a twice-weekly newsletter covering the highlights of Make It Better Media.